Walden Pond Press, 9780061797163, 208pp. 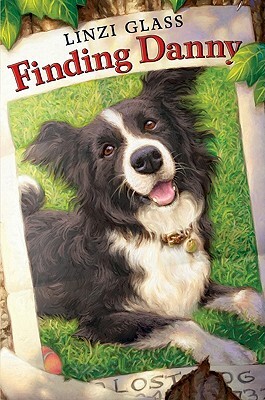 Twelve-year-old Bree Davies is devastated when her beloved Border Collie, Danny, goes missing after her mom leaves the gate open to their Santa Monica home. In her search to find Danny, Bree is thrust into the world of animals in need. With the help and guidance of animal rescuer Rayleen, Bree's heart is opened to the plight of the dogs in the downtown Vox Street shelter. Before long, her emptiness about her own loss shifts into action – and her quest to find Danny and her newfound mission to save the shelter dogs soon become one. Longtime animal rescuer Linzi Glass has crafted a singular story of finding oneself in the search for finding another, a compelling emotional journey as well as a call-to-action for animal-lovers everywhere. Linzi Glass is the author of two critically acclaimed novels for young adult readers, The Year the Gypsies Came and Ruby Red. When not writing books, she spends her time as a writing instructor and animal rescuer. Ms. Glass lives in Santa Monica, California, with her many rescue dogs and has a college-age daughter, Jordan.